I recently read The Invention of Air by Steven Johnson. It is about Joseph Priestley and the Enlightenment movement that he was part of in England and America. 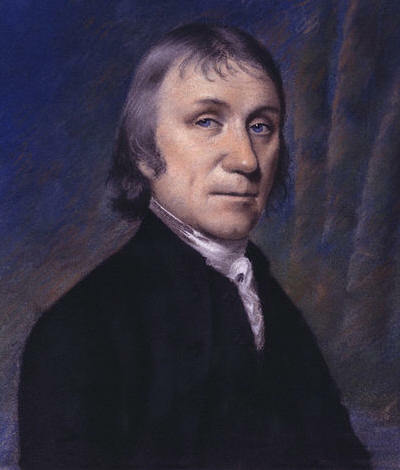 Joseph Priestley is the man who is commonly credited with discovering oxygen. Unfortunately Priestley was neither the first to isolate oxygen (that was Carl Scheele), the first to understand its true nature (Antoine Lavoisier), nor the one to give it the name we use today (Lavoisier again). Priestley was the first to publish the fact that he had isolated oxygen, and he was already well known for other pursuits, so his is the name we usually associate with oxygen. But what I really want to know is - what the heck does the title of the book mean? Obviously, no one including our hero Priestley "invented" air. The title must be a metaphor. I went to engineering school, so I won't be much help with the metaphors. According to one of the reviewers quoted at the front of the book, who was clearly a literature major, the "invention of air" refers to "how groups of scientists, natural philosophers, religious leaders, and politicians served as cultural petri dishes in which ideas were discussed, experimented with, discarded, or accepted". This is definitely one of the themes of the book. But using the K.I.S.S. principle of metaphor interpretation, I noticed that the few times the author actually used the word "invent" in the book, he was referring to evolution - as in 'Mother Nature invented this', or 'plants invented that'. From these discoveries we are assured, that no vegetable grows in vain, but that from the oak of the forest to the grass of the field, every individual plant is serviceable to mankind. So where does evolution come in? The author explains that when our Earth came into being, its atmosphere did not contain any oxygen. Some of the earliest life forms, cyanobacteria, evolved to use what they had available to them - water, sunlight and carbon dioxide. Their waste product, oxygen, was deadly to the other (anaerobic) microorganisms they were battling for world dominance. Great plan! It would be millions more years before animals evolved that would finally use up some of this waste oxygen. Before atmospheric oxygen levels settled into equilibrium at today's 21%, they climbed as high as 35%. 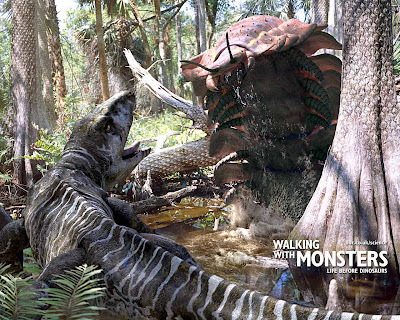 This created some huge plants and animals in the Carboniferous period - mosses 130 feet tall, dragonflies with a wingspan of 2 1/2 feet, and millipedes 8 feet long. Here's the 8 foot millipede (Arthropleura), advertising BBC's show Walking With Monsters. I'm sure glad I missed the Carboniferous. Thank you for the interesting review of "The Invention of Air." I am glad to know a bit more about Mr. P.
We are renowned as the Manufacturer of Oxygen Plants, Nitrogen Plants and Acetylene plants. Oxygen Plants, Nitrogen Plants, Oxygen Plants Manufacturers, Nitrogen Plants Manufacturers, Nitrogen Plants Suppliers India Bangalore. Oxyplants India deals mainly with Oxygen plants, Nitrogen plants. We are renowned as the Manufacturer of Oxygen Plants, Nitrogen Plants and Acetylene plants.Oxygen Plants Manufacturers, Oxygen Plants, Nitrogen Plants, Nitrogen Plants Manufacturers, Nitrogen Plants Suppliers India. This a nice read. Wonderful article. Thanks for sharing. I'm glad.